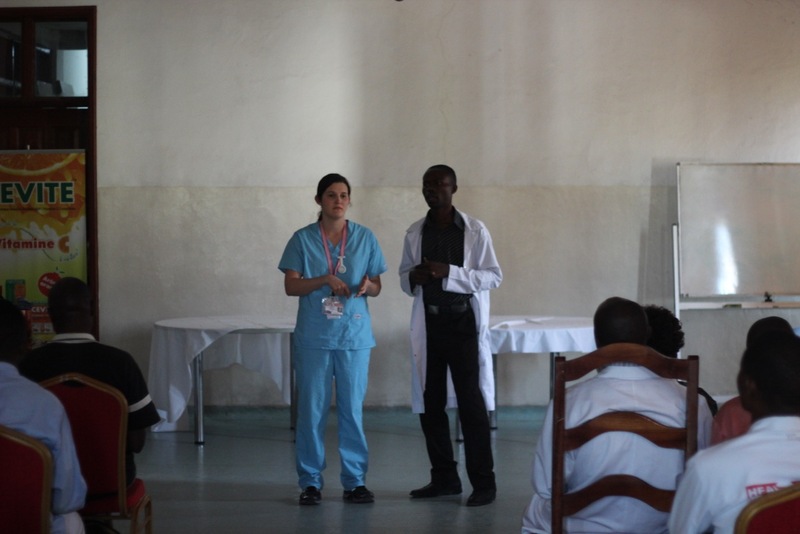 The AusHEAL Nurses continued their training at HEAL Africa Hospital [HAH] this week with an early 7:30am start on Monday morning for the HEAL Africa nurses meeting. The team members have conducted teaching in their own departments and areas of expertise as well as 2 formal teaching programmes on Tuesday and Thursday afternoons. This year’s team is a united group who has been well received by HAH staff. A major advance this past week was an agreement between HAH senior staff and the AusHEAL team to re-organise the operating theatres to see equipment become easier to find. This involves structural changes in the operating ‘suite’ and cleaning and restocking – It was a major decision which we hope will create sustainable improvement in patient care. Jill Cranswick, an experienced OT nurse from the Mater Private Hospital in Brisbane, and Dr Neil Wetzig have played major roles in guiding the HAH staff through this process. CTGs (cardio-toco-graphy: a technical means of recording the foetal heartbeat and uterine contractions during pregnancy) were introduced to the HAH maternity unit this week by Naomi Alexis and the staff has really taken to this using equipment purchased by AusHEAL. Kirsten Zeiher has been making great contributions to the Emergency Department and ICU while Cheryl Brooks has continued to provide excellent nursing leadership to the team together with training in her own area of expertise of anaesthesia and recovery. Dr Ryan Williams continues to play a major role in working alongside HAH staff, introducing new medical protocols for patient care at the hospital in an attempt to standardise medical care across all levels of medical experience. 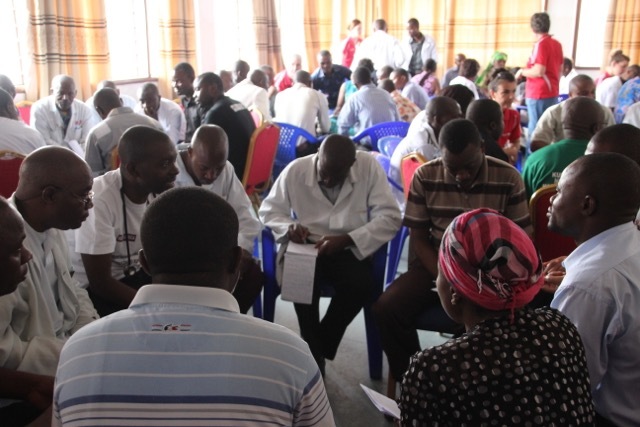 The third component of the AusHEAL teams arrived in Goma on Tuesday. This includes Murray Thorn (Radiologist) who is on his 9th trip to HA, Sue Reid (Sonographer) on her 10th trip and Graham Zerk (Emergency Physician) and Darryl Burstow (Cardiologist) each on their second trip. Sadly sickness has been a focus for the team with a number coming down with flu and gastro type illnesses. A number of HAH staff have also been off work, ill with malaria (including Dr Medard, the second surgeon, who has been off work now for 2 weeks – hence increased workload for Neil Wetzig). Many patients continue to undergo surgery for complex problems. 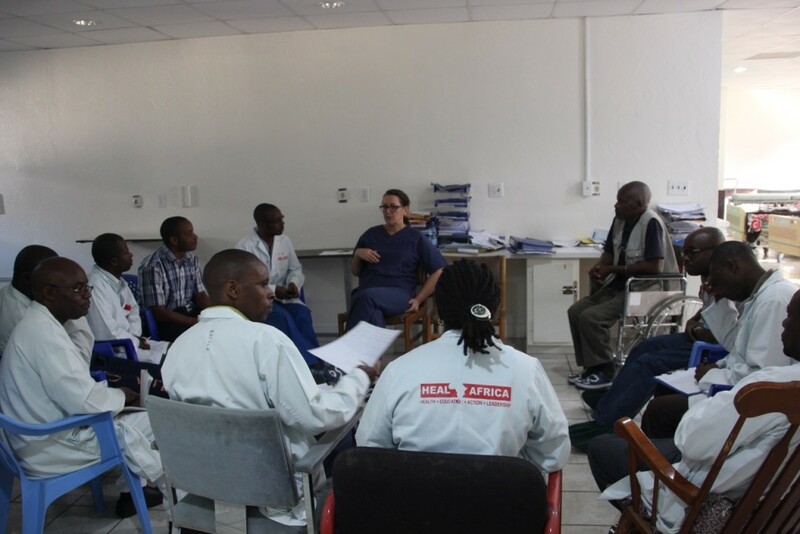 A pleasing feature of the week was to welcome back to HEAL Africa Dr Muller, whom AusHEAL is sponsoring for his training in Emergency Medicine. 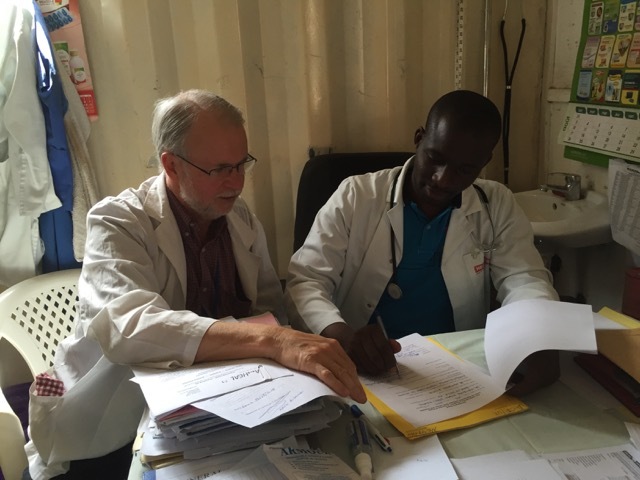 He is an outstanding doctor who is doing very well in his course in Tanzania. He has left his family in Dar es Salam to return to HAH for 2 weeks to work with Dr Graham Zerk. Dr Murray Thorn is greatly encouraged to be working with Dr Sosthene, whose specialist radiology training was also sponsored by AusHEAL together with SONIC Healthcare. Dr Sosthene completed his course and returned to HAH in July. This is the first opportunity that Murray has had to directly work with him since his return. AusHEAL scholarships are creating sustainable change. This week Dr Kigayi signed an MoU to commence specialist Anaesthesia training in Tanzania next month. The major highlight of the week was the annual AusHEAL Workshop on ‘Being Organised’ (Etre Organise) from 9.30am to 3 pm Saturday 29 August. 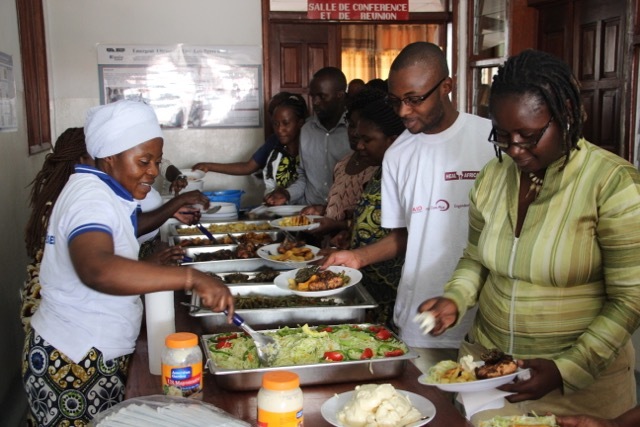 The workshop was attended by just over 100 staff from HEAL Africa Hospital and surrounding hospitals. It involved some games, a scenario acted out by the AusHEAL team, 8 workstations centred around organisation and extensive feedback sessions on how local staff want to see their hospital or department become more organised. 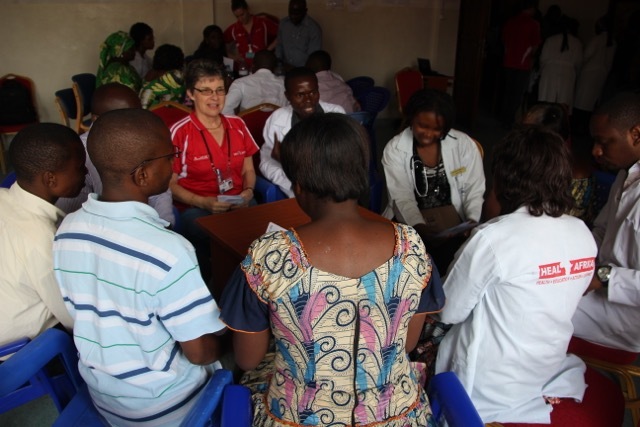 The workshop provides a wonderful time of integration of all staff, doctors, nurses, orthopaedic officers, administration, physiotherapy and cleaners to all meet together to share ideas. It also addresses issues around gender equality. The workshop was well received and all who attended contributed well. 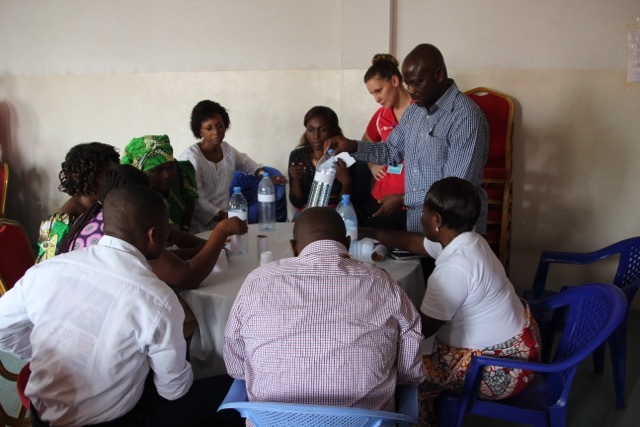 It takes a great team effort to run these workshops so the team members were all exhausted afterwards. 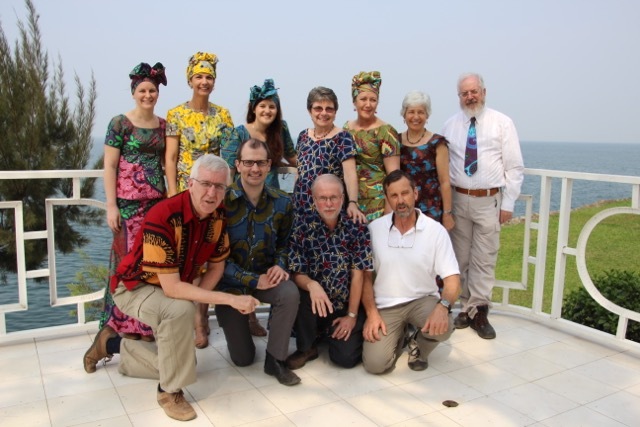 Sunday is a rest day and a time for the team to try on their Congolese clothing.